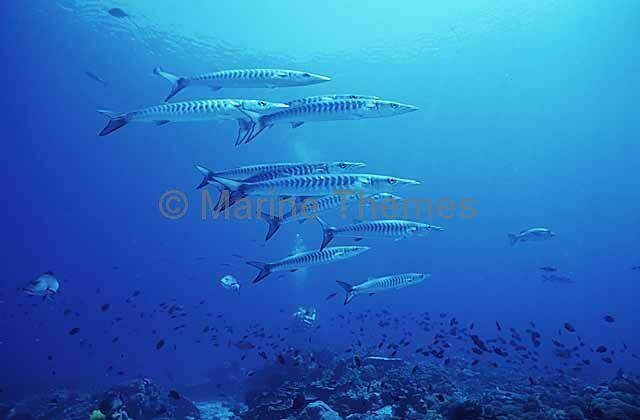 Chevron Barracuda (Sphyraena putnamiae) at fish cleaning station. 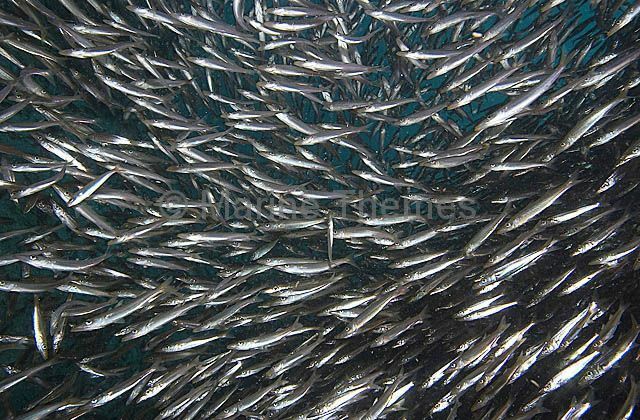 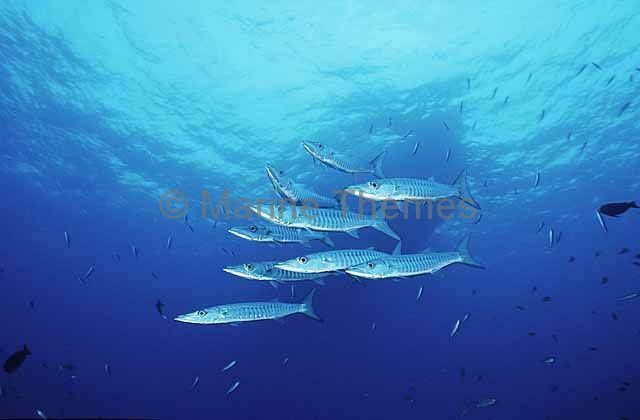 Chevron Barracuda (Sphyraena putnamiae) Schooling. 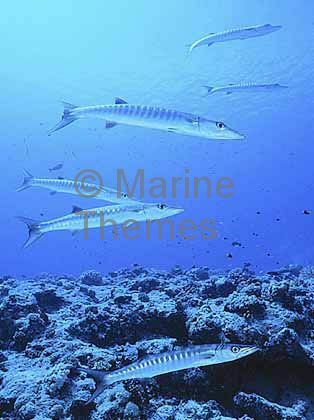 Chevron Barracuda (Sphyraena putnamiae) and diver. 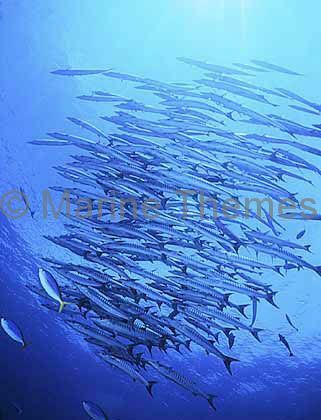 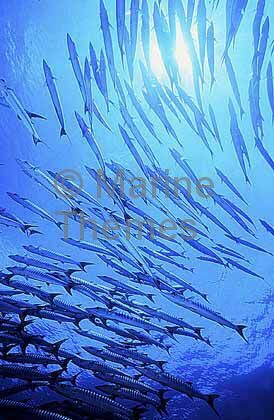 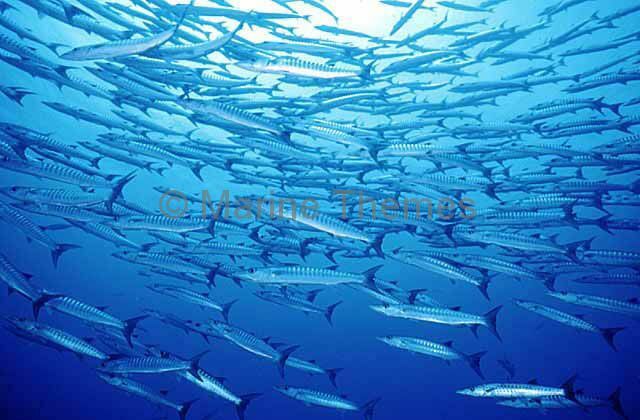 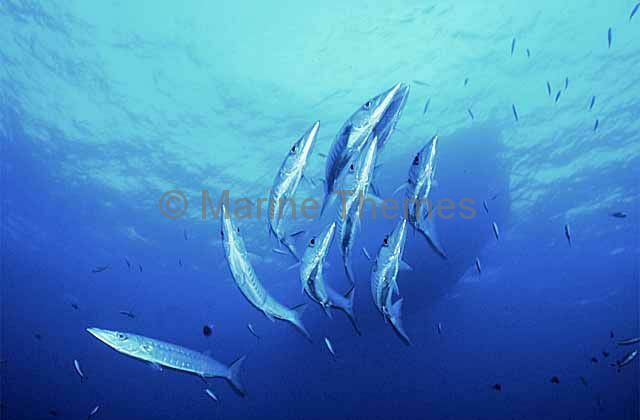 Yellowtail Barracuda (Sphyraena flavicauda) Juveniles schooling. 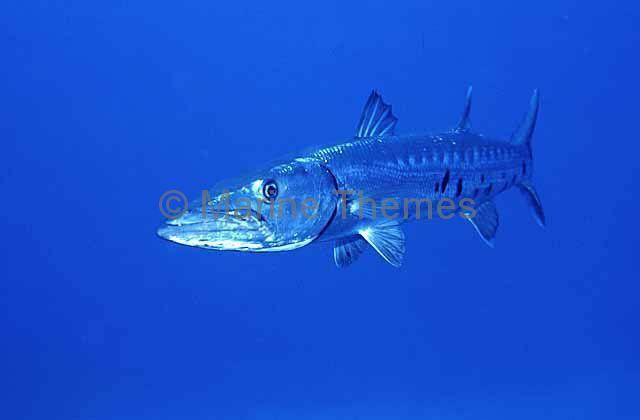 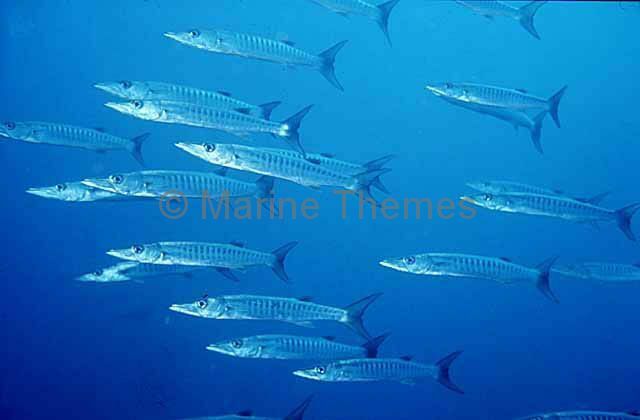 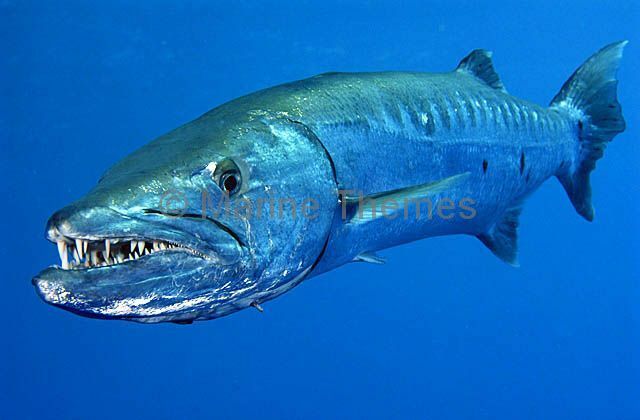 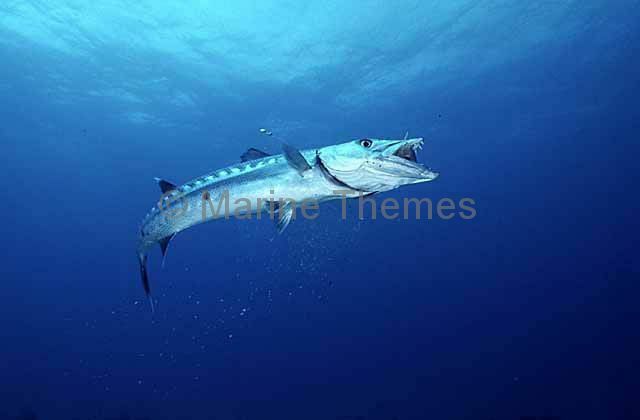 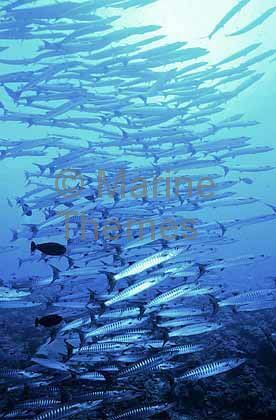 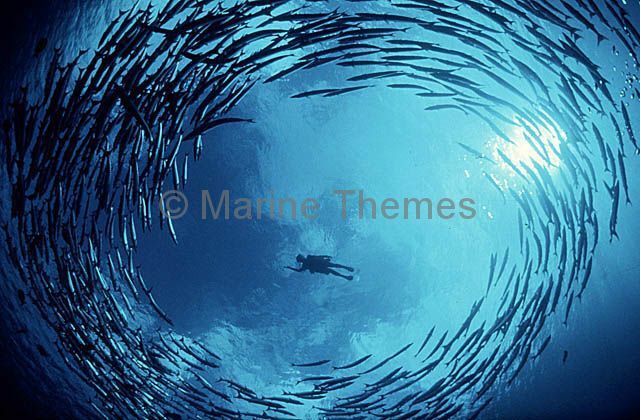 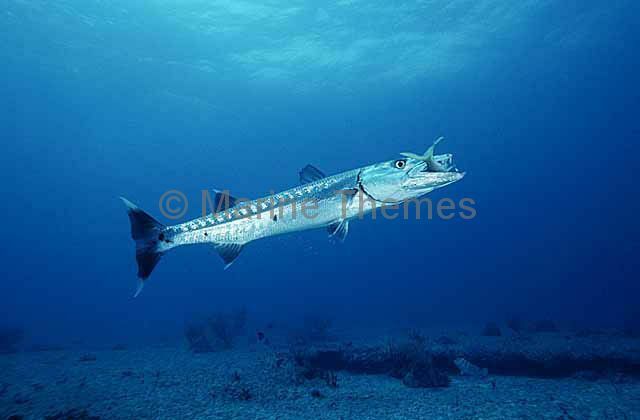 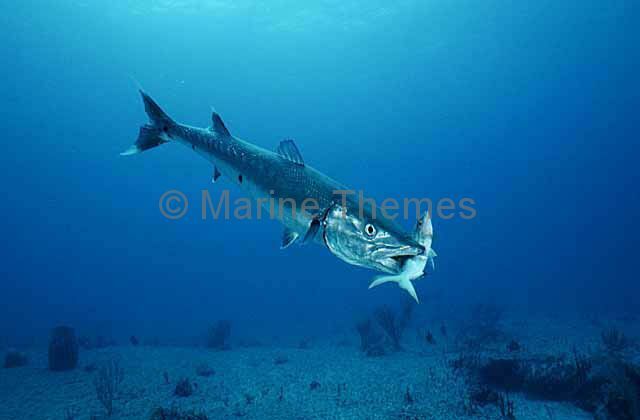 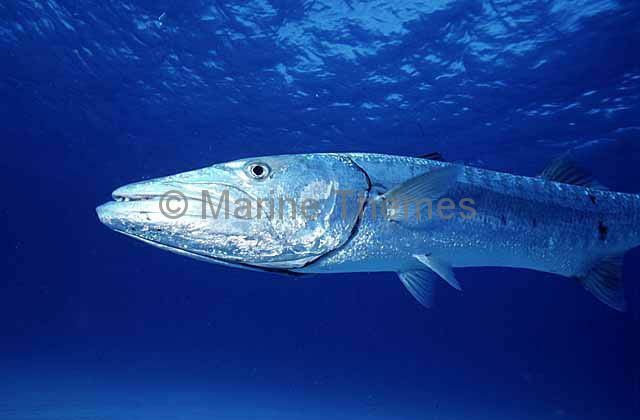 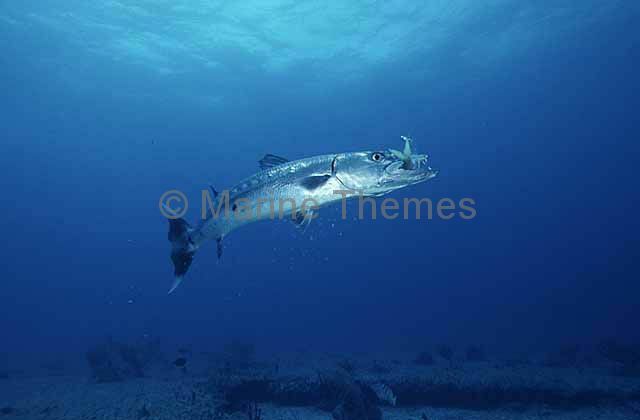 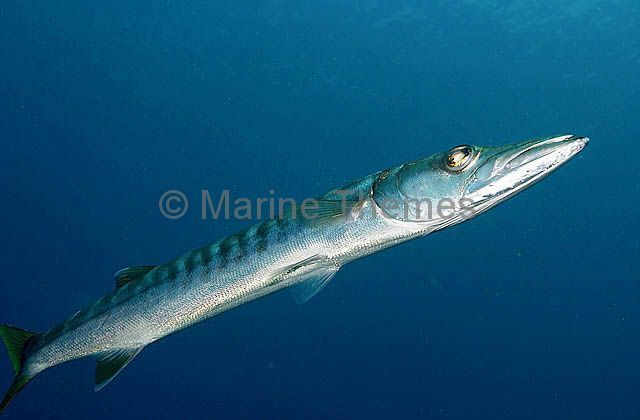 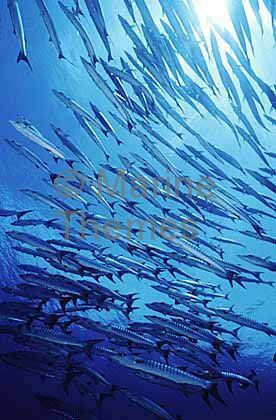 Great Barracuda (Sphyraena barracuda) feeding on reef fish.